His ghost ship is cursed to sail the oceans for all eternity! 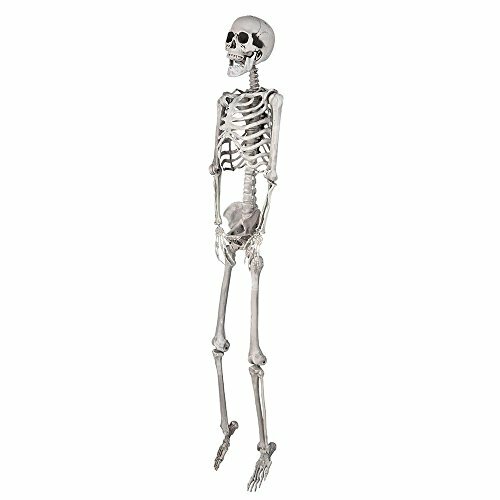 The Crazy Bonez Pirate Pose-N-Stay Skeleton is a new twist on our original life-size Pose-N-Stay Skeleton, accept no imitation! 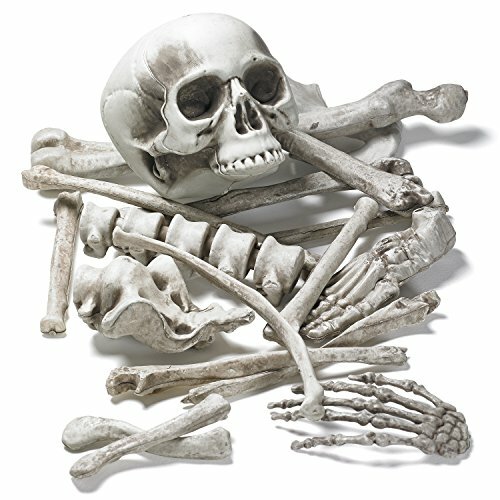 Pirate Crazy Bonez stands approximately 60" tall and features realistic molded bones. 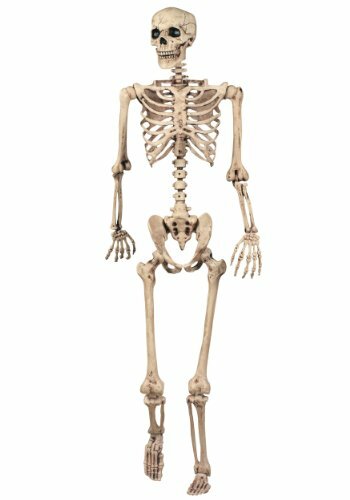 The detailed bones include a full rib cage, spine, arms and legs, and skull with a movable jaw. 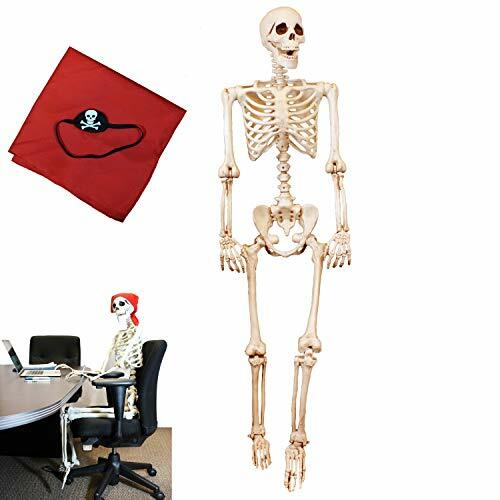 Includes a peg leg, a hook for a hand, an eye patch, bandana, sash and a skeleton parrot perched on his shoulder. Pirate Crazy Bonez limbs are poseable, with knees and arms that lock into place to hold a position. Will stand erect against a wall and will be stiff but cannot stand freely. 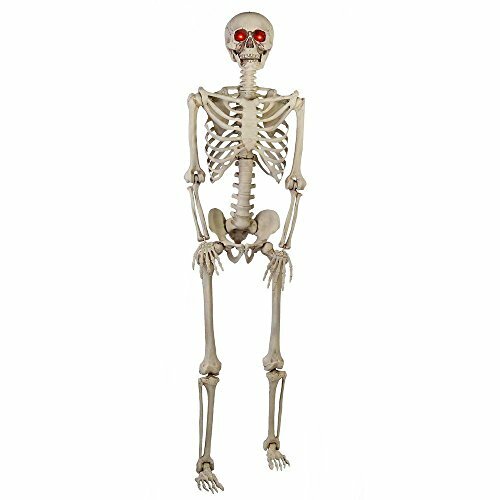 The Crazy Bonez Skeleton Stand (sold separately) is the perfect accessory to make him stand on his own!.